Rescue a young girl in India and give her the Gift of Hope! The Voice of Prophecy has teamed up with Child Impact International’s Operation Child Rescue to rescue young girls trapped in Bangalore’s brothels. These young girls from India, Bangladesh and Nepal are used and abused. You are their only hope for freedom and a new life. Introduce a searching person to Jesus Christ. Evangelism has always been at the heart of the Voice of Prophecy. Over the last two years in Seattle and Minneapolis, nearly 4,000 people were introduced to the saving power of Jesus. Many decided to follow Christ fully and were baptized. 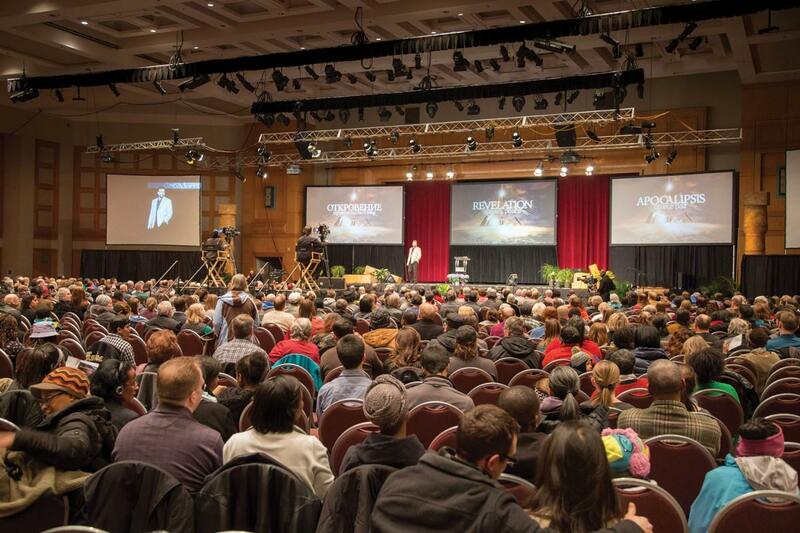 In early 2018, the Voice of Prophecy will present Revelation Speaks Peace in downtown Denver. Stay tuned for more details! Produce multimedia soul-winning tools and resources for local church outreach. The same top-quality evangelism and training materials the Voice of Prophecy uses in its large citywide campaigns are now being adapted for your local church. In October 2017, you will be able to invite your community to A Pale Horse Rides—a brand new series about Martin Luther and the Dark Ages. This special event is designed to pique your community’s interest in a deeper study of Scripture and historical events, and connect them with your local church. Translate the Discover Bible Study lessons into Arabic. The Voice of Prophecy Bible School was once a thriving ministry in the Middle East. But civil war and strife closed the office. Today, we are partnering with brothers and sisters in the Middle East to create resources for this region. We’re translating the Discover Bible Lessons into Arabic, and creating online access to these Arabic studies. We’re also developing a brand-new series of Bible lessons specifically to reach the wider Arabic-speaking population around the world. Share the gospel through radio, video and web broadcasts. We are now broadcasting from our new recording studio in Colorado. Our multimedia approach is proclaiming God’s love through radio, video, smartphones, tablets and computers. Very soon, we’ll launch a brand-new weekly live call-in show that will address topics people are talking about today. Not only that, but we’re going to be very intentional—more than at any time in our past—about using the broadcast to bring people into your local church! Your gift today will share hope over the airwaves (and Internet) with millions of people—a tradition established years ago by our founder. And we have just launched a brand-new program for kids called Discovery Mountain. Listen now and share with your kids or grandkids! 1. URGENT NEED FOR BIBLES. Each school has only one or two aging Bibles that all the children must share! Bibles can be provided to all seven schools—with each child having his or her own—for just $15,000. And these children will share the Bibles with families and friends back at home, so this will have far-reaching ripple effects. 2. BASIC COMFORTS FOR THE CHILDREN. Children are currently being housed and educated in facilities that were built long ago, and many of the structures have fallen into disrepair. The young children cook their own meals on an outdoor fire, even in monsoon season, and the sleeping quarters are in desperate need of fixing. The toilets are outdoors and in urgent need of replacement. The children desperately need beds, desks, tables and chairs. In some places, they need better access to clean drinking water. All of these urgent needs can be taken care of and fixed for just $30,000—another incredible opportunity! 3. PASTORS NEEDED. Right now, we have more than 50 Myanmar students willing to become pastors and carry the Gospel themselves to the farthest corners of their nation. But they cannot afford higher education. The cost to cover all of their seminary training is just $105,000, and they will become an incredible workforce for Jesus, trained and able, even if their country’s doors suddenly close again to outsiders. 4. RADIO PROGRAM. Until now, volunteers inside Myanmar would record radio messages for the public, but were not allowed to broadcast them. Instead, they had to secretly send the recordings outside the country to be played by foreign stations that reach back into Myanmar. But right now, the government might be willing to consider a Christian broadcast inside the country! 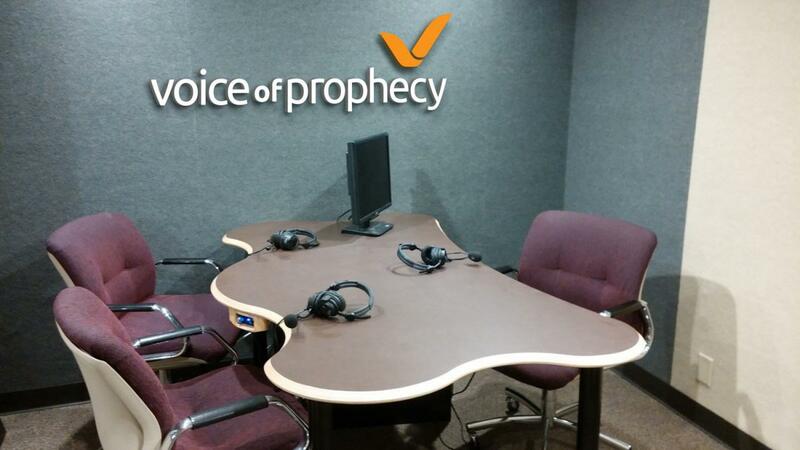 We are already working on starting a Voice of Prophecy broadcast in the Burmese language. The cost to start and operate it for three years is just under $25,000. 5. START A BIBLE SCHOOL. When we visited Myanmar, we discovered a handful of very old Voice of Prophecy lessons. They were being carefully preserved as tragically, most of the lessons were recently destroyed in a devastating fire, prompting our brothers and sisters in Myanmar to make an urgent appeal to our office for help. (The lessons that did survive are damaged and the Bible school workers are hand-cutting the burned edges off of each of them.) We are now working to create brand-new Discover lessons in the Burmese language. You can't always see the difference you make in someone's life. Today, you can give in honor of someone who impacts your life. Have a vehicle to donate? We can help! Learn how here. Do you want to help make a difference on a regular basis? Your recurring gifts can help change the world with a simple click of a button! Sometimes the struggles we see in the world seem like too much to take on. You can support the ministry with a gift we can put towards the needs of those who need it most.